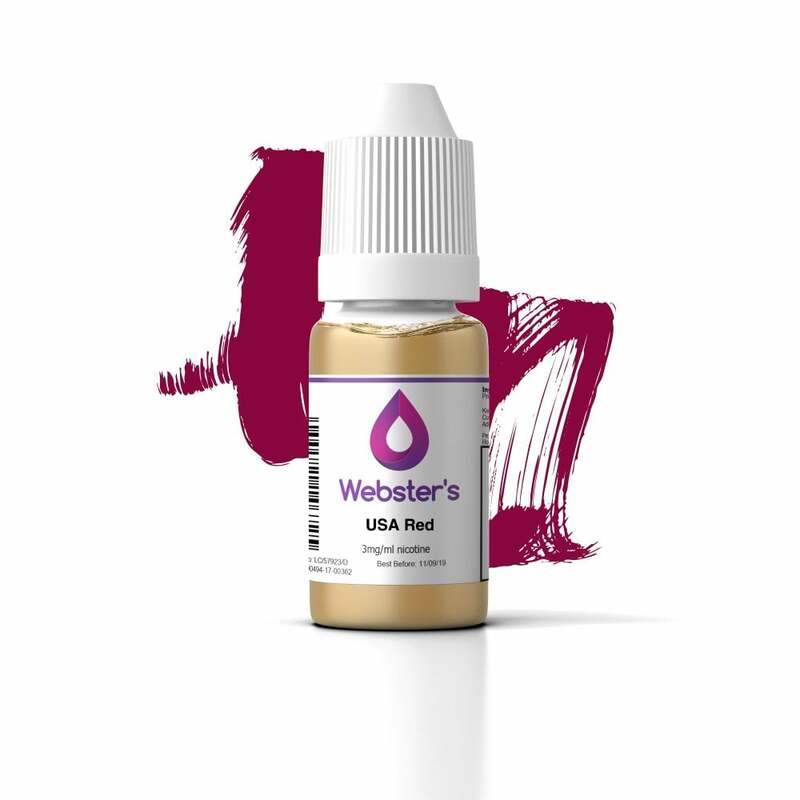 USA Red e-liquid by Webster’s One Pound Wonder is a classic American tobacco blend based on one of the most popular US cigarettes on the market. If you’re looking for a smooth, chilled-out tobacco flavour, look no further than Webster’s USA Red. Interesting. At first I didn't like it, but it grew on me. Funnily enough my same experience with the real thing way back in the day. AHHH, THIS IS JUST BRILLIANT! TYPICAL "USA BLEND" TASTE. IF YOU LIKE MARLBORO, CAMEL, PRINCE, WINSTON, L&M, THEN TRY THIS! MY ORDER WAS FOR 18MG AND YOU GET THAT "THROAT HIT" WITHthe GREAT TASTE AND LOVELY AROMA. I WILL BE ORDERING THIS AGAIN, ASAP! Foul taste get what you pay for I suppose,not for me at all. I was very sceptical when placing this my first order for Webster's eliquids, well only costing a pound I more out of curiosity decided to try them. I only ever vape tobacco flavours & I've really got to say that this USA Red is every bit as good if not better than many eliquids costing considerably more than £1 that I have vaped. I'm now looking forward to trying the other Webster's tobacco range that I've purchased. High quality vape which you can use regularly throughout the day .